In the 90's super-tweezed eyebrows were all the rage. Now thick, sculpted eyebrows are in vogue. To achieve this look, a growing number of women are seeking out semi-permanent eyebrow tattooing. Remember back in the 90s when thin was in? Pop stars like Christina Aguilera sported super tweezed eyebrows. Well, as with any fashion trend, things change. According to makeup instructor Kelcey Harasen, at the Style Academy in Regina, "thick, shapely, sculpted brows are in". Think Kim Kardashian and Angelina Jolie. Shasta Tokar calls herself a "glorified makeup artist". She is a certified cosmetic tattooist and has been operating out of a tattoo studio in Regina for less than a year. She performs as many as 10 brow feathering procedures per week, and said there is no shortage of people willing to spend hundreds of dollars for someone to tattoo their face. "It was popular in Korea before and it's just been in the last year that it's really exploded here," explained Tokar. Tokar, like many studios, offers a discounted "compassion price" for people who have suffered hair loss due to medical conditions such as cancer or alopecia, but the majority of her clients want the procedure strictly for convenience. One of her clients, Lisa Smith, who made the trip from Saskatoon, told CBC, "I just wanted it done, not to have to spend time in the morning putting on eyebrow pencil. Trying to make it match, trying to get a colour that matches your hair for the week or the month. Everybody's is in a hurry now, and I'm one of those people." Tokar's clients have ranged in age from 18 to 86 years old. She said the eyebrow tattooing techniques have changed dramatically over the years and so has the stigma around it. "Before she knew about what I'm doing, if I was to tell my mom I'm going to get my eyebrows tattooed, she'd tell me I'm crazy. But now it's semi-permanent, you can change the shape. It's different." Eyebrow feathering or micropigmentation fades after one to three years, and it's the semi-permanent nature of the tattoo that is a selling feature for many people. Harasen at the Style Academy has horror stories of people who had permanent makeup tattooed on more than a decade ago and now regret their decisions. "I know people who got eyeliner tattooing about a decade ago or even more when it started. Obviously procedures have improved since then, but most people that I've talked to have wish maybe they didn't get that done because now it's a little bit too thick and it doesn't look quite right and they're working really hard to conceal it," explained Harasen. 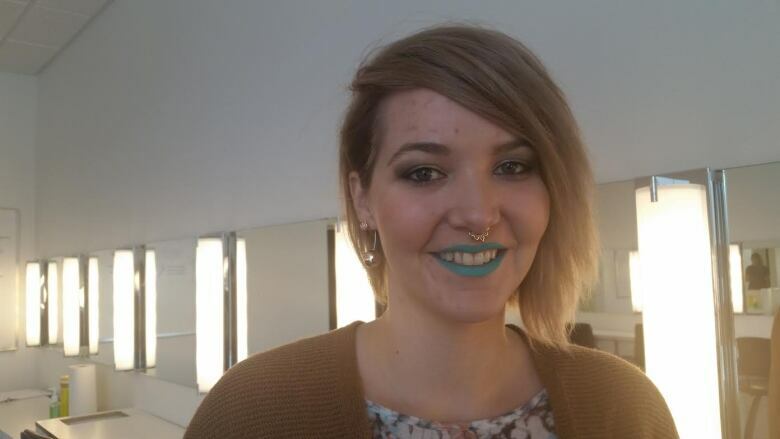 Kelcey Harasen is the make-up instructor at The Style Academy in Regina. On the day of the interview Harasen was wearing teal lipstick and shimmery silver eye makeup. The makeup instructor is conscious of how fleeting beauty trends can be and fully expects brows to follow suit. 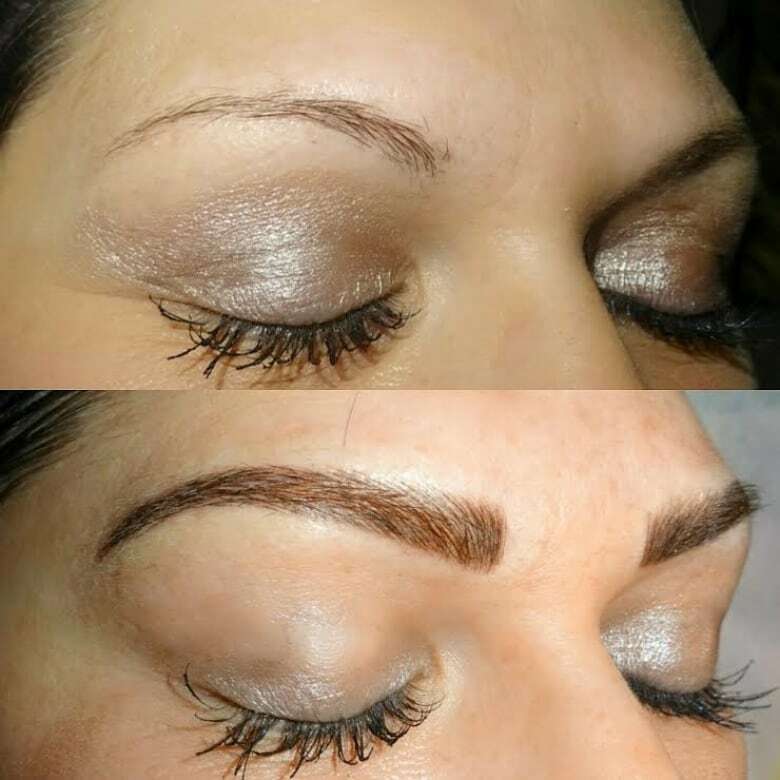 Tokar's business Facebook page is filled with before and after pictures of clients with new, fuller eyebrows. However, one picture in particular attracted a lot of attention. A woman came into her shop with red, raw looking eyebrows. She had received micropigmentation at another studio and the cosmetic tattooist pushed too hard, making for a painful experience. Tokar is adamant the procedure shouldn't be painful and that people considering the treatment shop around and check out the artist's portfolio before sitting down in the chair. Tokar said the cosmetic tattooing goes far further than the brow. She has people coming in wanting permanent lip and eyeliner, beauty marks and even more unusual requests. "I did freckles on my best friend. There's absolutely nothing on her face, her skin is so beautiful, it's just so perfect. It's one of those things if you don't have it you want it."